Be the first to learn about special offers by keeping up with us on Facebook and Twitter or sign-up for our e-newsletter. Buy more ballet and save up to 50%. Season ticket holders enjoy Nashville Ballet’s largest discounts plus great benefits like FREE anytime exchanges. Click here to learn more. Create memories and share savings by attending a Nashville Ballet performance with your friends, family or co-workers! Groups of 10 or more can save 15% off select performances. Click here to learn more. Season ticket holders receive 50% off children’s tickets for performances at TPAC. Click here to learn more. For some performances, $15 rush tickets may be available in-person with a valid college student ID. College student rush availability is always determined the Monday of each performance week and may not be offered for every show. To be automatically notified of rush availability and special events for students, sign up for our student mailing list. Otherwise, call ahead to check availability starting the Monday prior to the performance. Season ticket packages and group tickets are sold by Nashville Ballet. Single tickets are sold by the Tennessee Performing Arts Center (TPAC). TICKET BUYERS - BE AWARE! NASHVILLEBALLET.COM and TPAC.ORG are the official websites for buying tickets for shows at the Tennessee Performing Arts Center and Nashville Ballet Studio A. You can also buy tickets at the TPAC Box Office downtown or by calling (615) 782-4040. Scalpers (third party sellers) sell tickets mostly on speculation and often at inflated prices on websites that may mimic Nashville Ballet or TPAC’s look. Tickets obtained from unauthorized sources cannot be guaranteed. They may be lost, stolen or counterfeit and if so are void. Customers who have had an unfortunate experience with third party sellers should first contact TPAC at BoxOffice@TPAC.org or (615) 782-4040 to speak with a member of Box Office Management. Promo codes must be applied before adding seats to your shopping cart. If you have already selected seats, you must empty your shopping cart before applying the promo code. 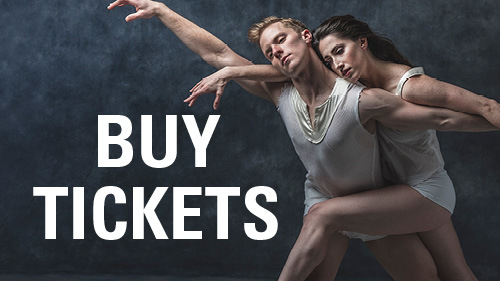 To apply a promo code, type the code in the “Enter Promo Code & Submit" box at the top right of the screen on the performance's purchase page, accessible after clicking the Buy Tickets button at NashvilleBallet.com or TPAC.org. Discounts cannot be applied to previously purchased tickets. If you need additional assistance, please contact the TPAC Box Office at BoxOffice@TPAC.org or (615) 782-4040 prior to making a purchase. Nashville Ballet is proud to support the wonderful work of many charitable organizations in Middle Tennessee by donating performance tickets for silent auctions. Nashville Ballet does not accept ticket donation requests by mail, email or phone. Requests must be made through the official online request form at least 4 weeks prior to the eligible organization's event. To view Nashville Ballet's ticket donation eligibility guidelines or to make an official request, click the button below.